Geothermal energy is a sustainable clean energy source, as it draws upon the heat that is naturally being emitted from the Earth’s core into the upper crust. Like other sources of renewable energy, there are many technical challenges posed with the continuous harvesting of the planet’s rising energy. One issue that is unique to the conditions of geothermal power generation is the fast-paced corrosion of materials. Corrosion occurs when a refined metal begins to return to a more stable form due to the influence of certain chemicals in the environment. 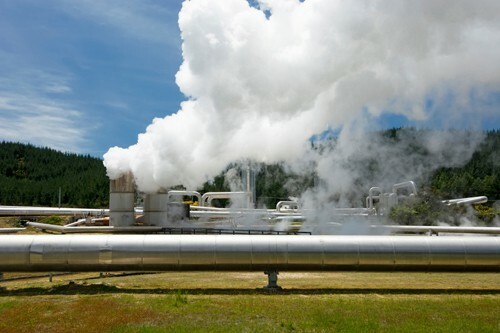 For geothermal energy, this can be quite a problem, since the materials are continuously exposed to steam and hot brine in an underground production well, in which the steam spins a turbine that converts heat energy into usable electricity. However, while corrosion in some cases can be surely anticipated, the corrosive potential of geothermal energy is incredibly varied, and is dependent on the materials selected for constructing the well, turbines, and other equipment, in addition to the chemicals present within the geothermal fluid and steam. 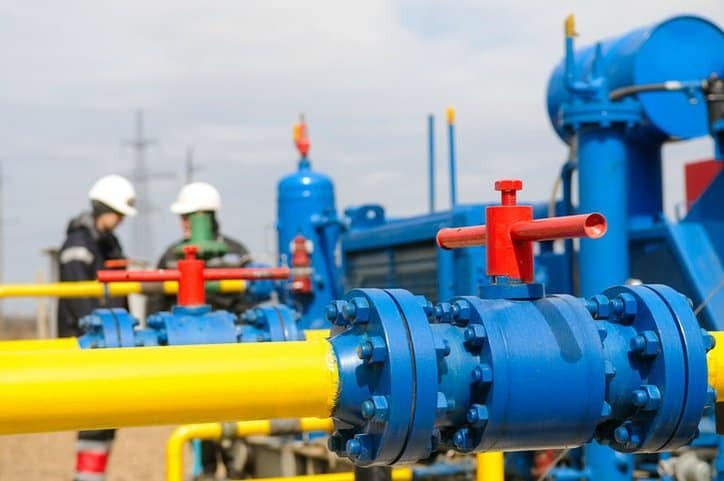 The most commonly used material in geothermal pipe is not a metal but polyethylene, which is often found in the strengthened form of high-density crosslinked polyethylene. 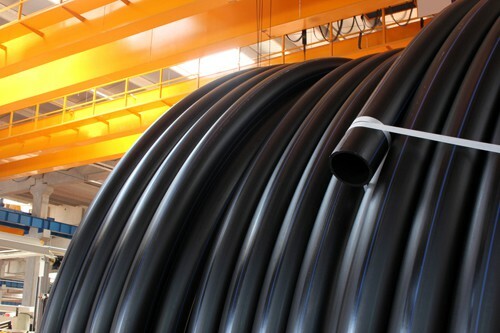 To create a system out of this material, according to ANSI/CSA C448 SERIES-16 – Design and installation of ground source heat pump systems for commercial and residential buildings, fittings for crosslinked polyethylene piping should “be protected against corrosion by selecting corrosion-proof non-ferrous materials or by applying a liquid-tight polyethylene or crosslinked polyethylene corrosion protection covering.” Using this material guarantees lack of rust on geothermal pipes, but it is not without its drawbacks. Some of these standards, while intended to prepare the synthetic piping material for installation, address testing procedures for exposing the materials to the aqueous solution of geothermal fluid. Geothermal fluid is a naturally occurring mineralized mixture of pressurized water and steam heated underground to 200–325 °C, and these materials are drawn up from a production well. As stated in IEC/TS 61370 ED. 1.0 B:2002 – Steam turbines – Steam purity, “high purity steam is required to ensure steam turbine operation with a high degree of efficiency, output, and availability. Impurities can form deposits, which can lead to loss of efficiency or output or to corrosion.” The chemical composition of the steam used to spin the turbine in a geothermal plant can lead to corrosion that impacts the rotation of the turbine blading or the structure of the production well. Excessive concentrations of sodium, silica, or chlorate can assist the corrosion process. The corrosion rates of most materials increases as the pH of the fluid decreases. Geothermal fluids that are generally cooler are of high pH (8-10), while warmer waters are more neutral. However, this trend greatly varies among geothermal fluids of extreme temperatures, which exist with pH as low as 2 and as high as 12. When considering the corrosivity of fluids, it is important to look at the temperature and not just the composition of the fluid itself. 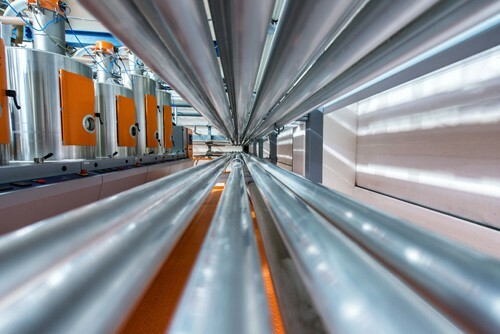 While the corrosivity of the geothermal fluid solvents isn’t too great of an issue with synthetic piping, it does pose serious dangers for metal-based materials. 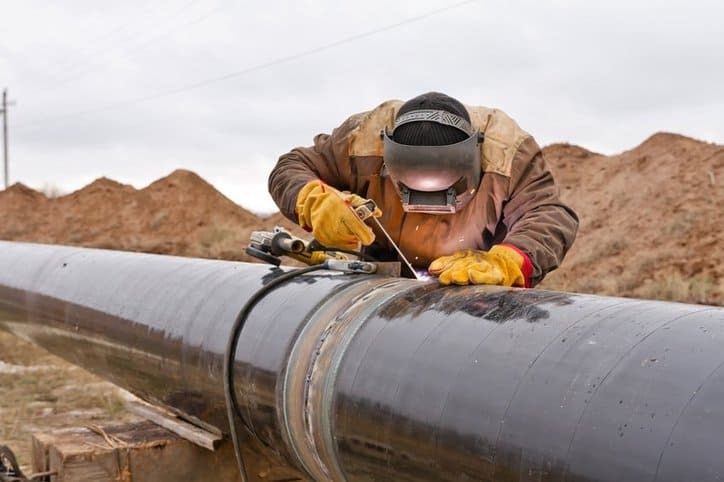 ANSI/CSA C448 SERIES-16 states that “it is imperative that pH, corrosion inhibitors and other essential water chemistries be maintained throughout the life” for steel and copper piping systems. It is incredibly important that these metals, when used in production wells with corrosive geothermal fluids, are part of a well maintained system. The choice of steel as piping material was a major problem with earlier geothermal plants, since iron corrodes quite easily from oxidation. However, many of these have been offset with nickel alloys, which are far less reactive with the geothermal brine solution. All geothermal piping systems, regardless of their material composition, should be in compliance with ASME B31.1-2018 – Power Piping. Overcoming the challenge of managing corrosion is essential for a more widespread usage of geothermal energy. Unfortunately, the source of power, despite having a very high capacity factor, does not get as much attention as other renewable energy sources, such as wind or solar. Despite this, the International Energy Agency (IEA) predicts that geothermal energy has the potential to increase tenfold by 2050. 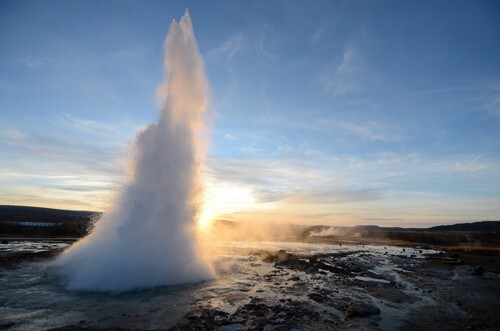 It’s true that geothermal energy is more reliable and useful in certain areas, such as Iceland, which actually derives 25 percent of its electricity from geothermal power due to its placement on a fault line, but that doesn’t mean that one cannot harvest geothermal energy in areas of the globe that don’t have those advantages. Take, for example, the energy load in the United States, for which geothermal only accounts for 0.4 percent. Shallow ground temperatures are relatively constant throughout the nation, so geothermal heat pumps, which easily heat and cool homes by capturing the underground heat, can be used almost anywhere. In addition, there are immense opportunities for the areas near fault lines. Expansion of geothermal power not only requires perfection of its technology, but also knowledge and acceptance of the benefits it can bring.